Our program combines academic support with STEM programming and Club Tech, an initiative that provides state-of-the-art software, new programs, and resources that help build members’ computer skills and integrate technology in all core program areas. Our Impact: The youth we serve face poverty, gangs, and linguistic and cultural barriers. These challenges negatively impact their ability to succeed in school, especially in the areas of math and science. The STEM initiative increases learning capabilities in math and science and provides youth with support and guidance to help them achieve their full potential. Club Tech – initiative focused on providing all clubs with state-of-the-art software, new programs and resources to help build computer skills and integrate technology in all core program areas. Our club professionals receive extensive, ongoing training in order to ensure youth are receiving current skills and training. Robotics – Club members are introduced to engineering concepts and learning to drive interest in today's technology focused world. Robotics also enables highly desired and critical skills including problem-solving, logical reasoning, critical thinking and creativity. We partner with First Robotics for the First Lego League (4-8 grades). NASA’s BEST (Beginning Engineering, Science, and Technology): activities expose members to the engineering design process which is a series of steps that engineers utilize for problem solving. A strong emphasis is placed on student's understanding that engineers must "imagine and plan" before they begin to build an experiment. Make Space - 3D printing- Encourages students to develop their science, technology, engineering and math skills alongside with communication, collaboration and problem solving. Cyber Security – CyberPatriot, the premier national high school cyber defense competition, is designed to give hands on exposure to the foundations of cyber security. CyberPatriot is not a hacking competition but to gain and develop more interest in STEM. The program is offered at Mark Twain Middle School and Venice High School. Digital Photography - ImageMakers is a comprehensive digital photography program for Club members. No prior experience is necessary and the goal is to teach photography as art and vocation. The program is fully digital where computer storage and editing in photoshop is an important part of the curriculum. Audio Engineering - The Club operates a state-of-the-art music studio in the teen center area of the Club. The program teaches Club members various elements of audio engineering including music production, music software applications, and vocal recording. Club members create their own original music and record it with professional equipment. The room dedicated to this program contains a mixing board, keyboards, guitars, a drum set, bongos and hand percussion instruments as well as Pro Tools, Logic, Reason, and iTunes software and two Mac G5 computers. Youth write music, overdub tracks, edit music, and make professional-sounding CD’s. Marine Education – Through the Fast and Fun sailing program, the beach and waters of Marina del Rey are a living laboratory for biology and ecology education as well as a platform to create awareness on the environment. As citizens of southern California, our Club members are future stewards of our marine environment. It is important that lessons about interdependence of species and how we are all affected by water pollution and species extinction become part of their base understanding of the world. 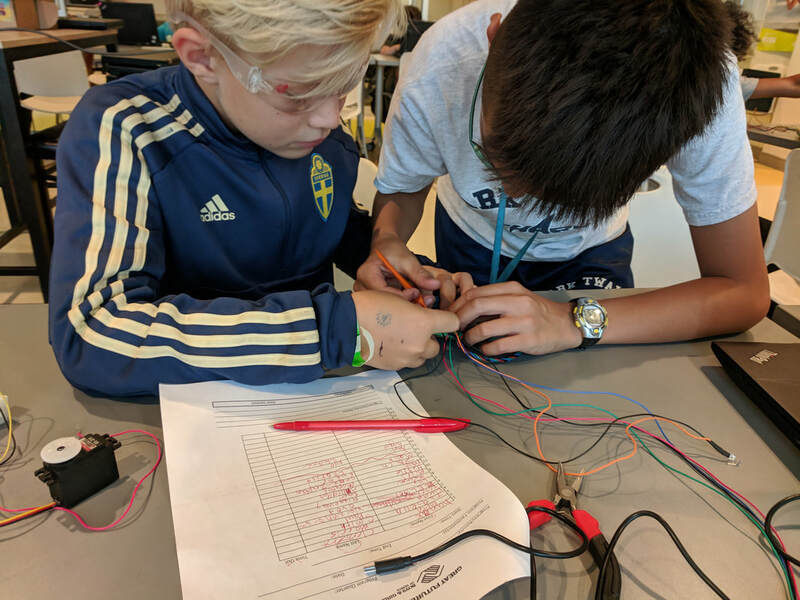 STEM Labs – The Club is creating STEM labs within its main clubhouse, the James A. Collins Unit and its Mark Twain Middle School site. The STEM labs will provide youth with state-of-the-art equipment and resources and provide them with opportunities to engage in STEM activities in an inspiring and kid-friendly environment.